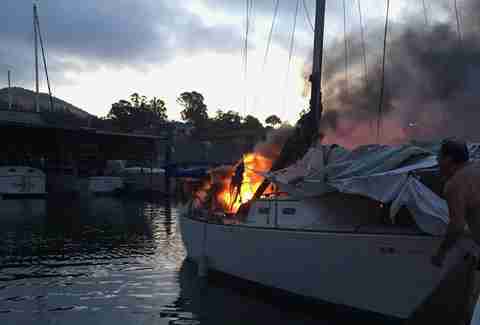 The sail was already in tatters and it seemed the entire boat would soon be consumed by flames when police officers arrived at the San Rafael Yacht Harbor in the predawn hours last Thursday. 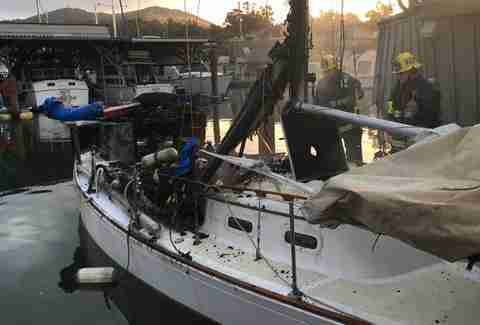 Though firefighters were doing their best to extinguish the powerful blaze in the California marina, there was one thing they couldn’t do — reach the terrified dog trapped aboard the boat. 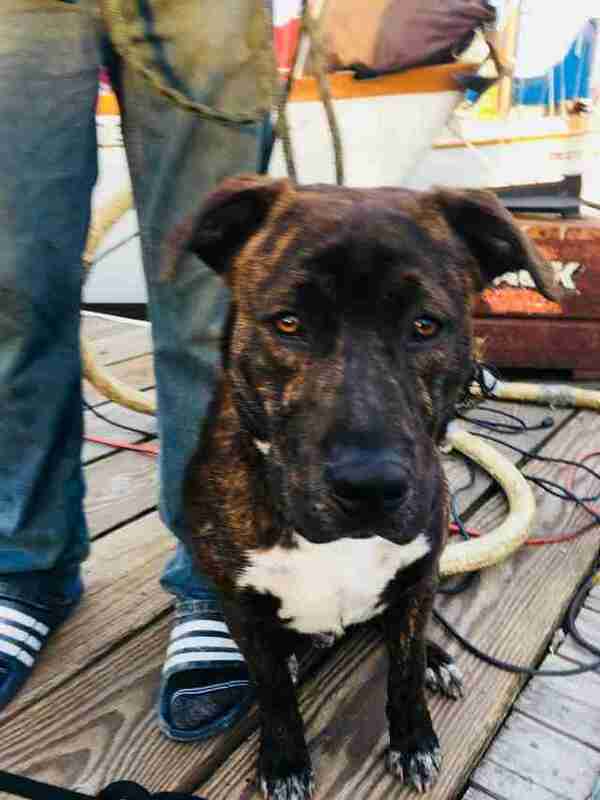 Officer Travis Ruggles couldn’t see the animal at first, but when he spotted the brindle pit bull mix cowering underneath some wooden planks, he knew that he couldn’t stand idly by. The officers discussed how to best reach the pet — it was too dangerous to access the dog by the dock due to the flames, so the only other option was by sea. Though he was prepared to hop into the water and swim to the boat, Ruggles suddenly got a better idea. 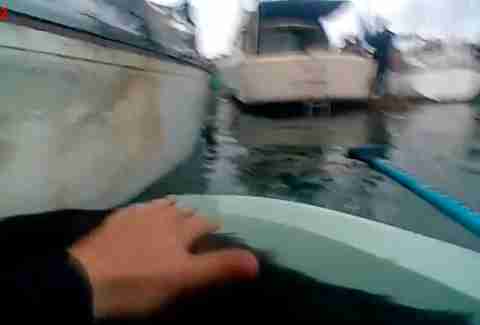 Spotting a small rowboat tied to the dock, Ruggles hopped in and started paddling toward the cloud of billowing smoke — all of which was captured by his body cam. “I was standing there on the dock, and I looked down and I just kind of took the opportunity to do it,” Ruggles added. A cheer erupted from the crowd as Ruggles successfully retrieved the dog and started to row toward safety. The dog immediately curled up next to Ruggles, trembling. When they arrived at the dock, Ruggles looked back and the entire end of the boat where the dog had been standing was overtaken by flames. The dog, whose name is Tiger, has since been reunited with his owner, and Ruggles, who has two dogs and two cats at home, got a well-deserved day off.